The vintage-style design with bricks and wood has a traditional feel accented with a contemporary flair. At Hoysala, after the day's adventure, suspend your soul to a cozy bed in a room thoughtfully designed to suit your holiday requirements. Each cottage is indulgently spacious, luxurious, and secluded for your ultimate privacy and intimacy. The resort has Superior Cottage's, Palace Suit's and Jacuzzi Villa's. Exclusive and designed to maintain privacy, each of these units are separate from one another. 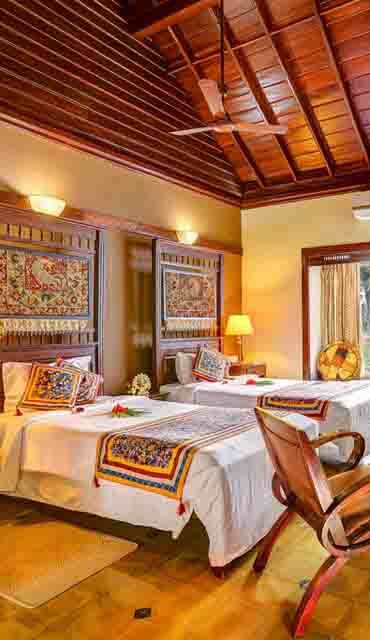 Apart from an intricately designed interior, all rooms are fitted with basic amenities. The rooms are large, spacious and comfortable, designed elegantly with themes – a perfect respite at the end of a vibrant day. The architect of the resort has successfully managed to retain the local flavor and the cottages and suits are designed to maintain and enhance the rustic feel. The Jacuzzi Villa's are the embodiment of luxurious extravagance. No stone has been left unturned to give our guests the finest leisure experience of their lives. Equipped with a large living room , bedroom and sit-outs they manage to give the perfect mix of affluence and seclusion thereby creating a truly memorable experience. 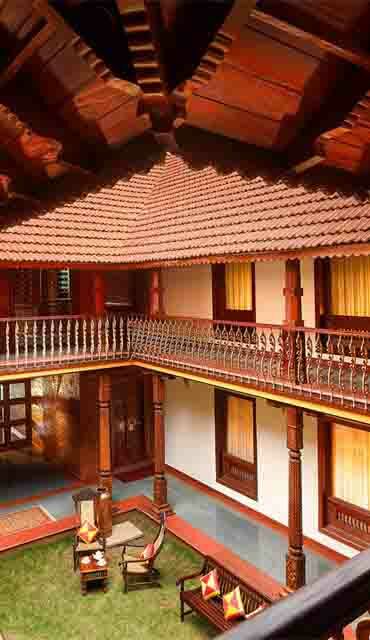 The Malnad Palace are fitted with AC and are perfect for double occupancy, along with children (below 10 yrs). Exclusive and designed to maintain privacy, each of these cottages are separate from one another. 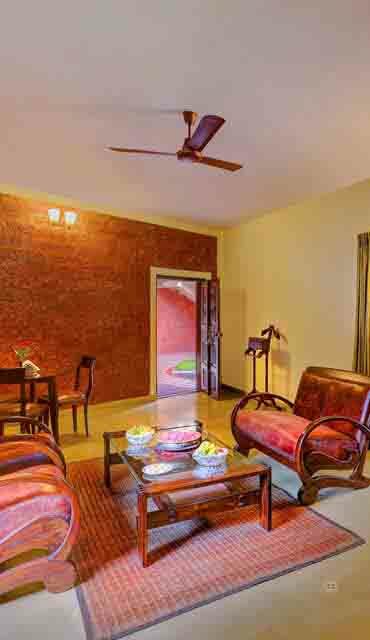 The Cottages are awe-inspiring, have a living room with a sit-out area which offers excellent views of the resort. The rooms are large, spacious and comfortable, designed elegantly with themes – a perfect respite at the end of a vibrant and culture-rich day.